U.S. intelligence agencies traced a recent cyber intrusion into U.S. Army database that holds sensitive information about vulnerabilities in U.S. dams. The U.S. Army Corps of Engineers National Inventory of Dams contains information about 79,000 dams throughout the country and tracks such information as the number of estimated deaths that could occur if a specific dam failed. The database also holds sensitive information, including vulnerabilities, of every major dam throughout the country. Michelle Van Cleave, a former consultant to the CIA, told the Beacon that the data breach appeared to be part of a greater effort to collect vulnerability and targeting data for future cyber or military attacks. 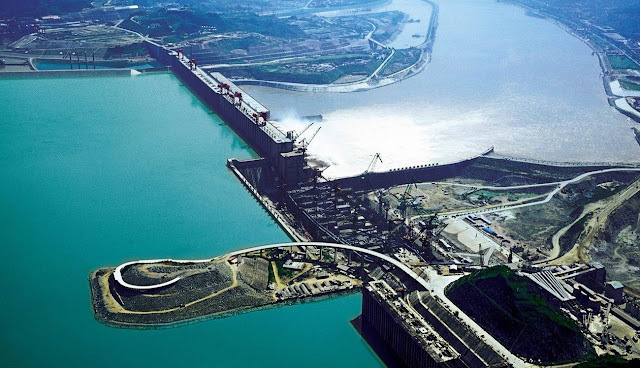 The Corps of Engineers National Inventory of Dams was hacked by an unauthorized user believed to be from Chinese government or military cyber warriors, beginning in January and uncovered earlier this month. “In the wrong hands, the Army Corps of Engineers’ database could be a cyber attack roadmap for a hostile state or terrorist group to disrupt power grids or target dams in this country,” Van Cleave said. All users had been sent an e-mail notification to this effect, which apparently told them that their account username had been changed to their e-mail address and included the new password in plaintext that the Corps did not ask users to change. According to the Corps website, the dam inventory was created under a 1972 law and was updated in 1986 to require coordination between the Corps and the Federal Emergency Management Agency.